Autonomous cars are all the rage for automakers now. Companies are spending a lot of money on the research and development all towards making the human driver obsolete. Self-driving cars beyond simple cruise control and “autopilot” seem to be the future. However, it seems that this development he time now. In fact, there just happened to be a self-driving vehicle back in 1971. How crazy is that? This specific driverless vehicle was created by the British Road Research Laboratory and was able to drive on its own through “electronic impulses relayed to the car through a special receiving unit affixed to the front.”At the time, researchers predicted that autonomous vehicles would be making drivers irrelevant by the year 2000. Obviously their predictions were a tiny bit off…give or take a decade. 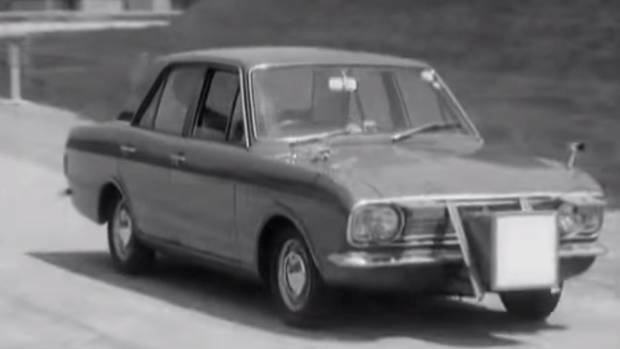 There has been footage released of this engineering marvel that was well ahead of its time. Stories about driverless cars are pretty much everywhere these days. Apple, Uber and Google are investing heavily in self-driving technology, lawmakers are fretting over the policy implications of roads filled with driverless cars, Asia has tested their and even the University of Michigan built an entire mini-city to test autonomous vehicles. 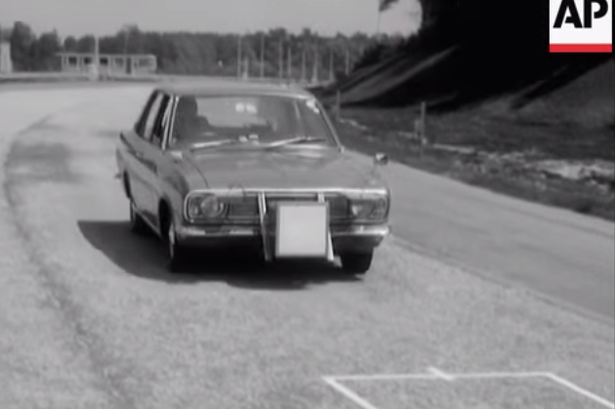 The footage from the 1971 experiment shows one of the first ever driverless cars driving around a test track, and it doesn’t use half of the technology that the latest offerings from Google (and others) contain. While it seems we are a decade too late according to the video, the leaps that our technology have take are definitely much further along. The distances covered by the current prototypes and the maneuvering far outdo this early model and I doubt they had smartphones on their minds then. However as a curious look into the history of automotive innovation, it’s definitely a noteworthy step towards our own future.